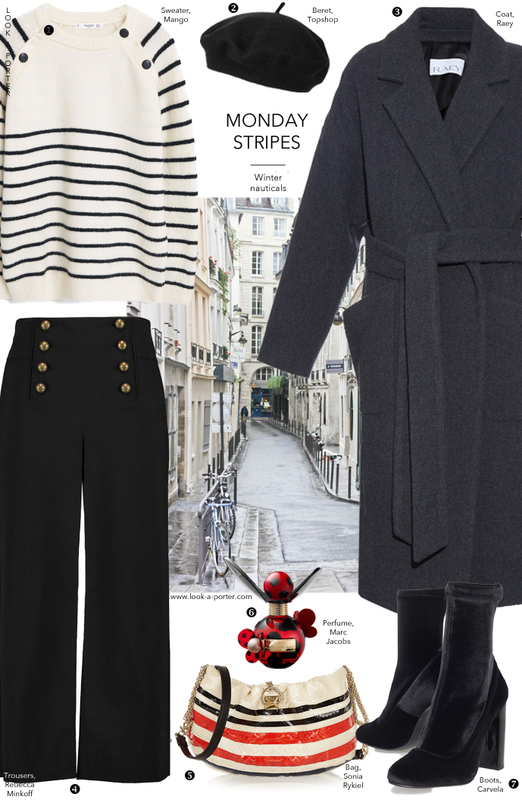 If you feel that this outfit was somewhat inspired by Sonia Rykiel, then yes, it was... I can't help it. This combination of sailor trousers and stripes works every time - very important to remember especially on Mondays when my brain cells are still in semi-hybernating mode.